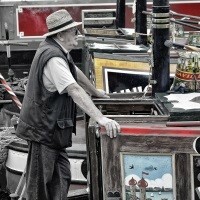 Skipton Waterway Festival is a 3 day canal boat event which runs every year on the first May Day bank holiday weekend. Enjoy the annual Skipton Waterway Festival as it celebrates all things canal related plus a ride on the stunning Settle-Carlisle Railway across the Ribble Viaduct. Following collection from home, depart East Anglia and travel to Harrogate and the Cairn Hotel for the three night stay with dinner, bed and breakfast stay. After discovering more of Bronte's history with a guided tour, travel to Appleby to join the Settle-Carlisle Railway for a superb ride through stunning scenery across the majestic Ribblehead Viaduct to Settle before joining the coach for the return journey. Spend the day exploring the Skipton Waterway Festival, based at the canal basin and featuring dozens of canal and narrowboats plus stalls and entertainment. After free time in Harrogate, travel back to East Anglia where the door to door collection service will be waiting to return you home. The Cairn Hotel in Harrogate is a charming Victorian hotel, built during the towns Spa period and carefully modernised to leave its welcoming original grand features.